Obituary for Mr. Kenneth C. Wood | C. C. Carter Funeral Home, Inc.
Mr. Kenneth C. Wood 69, husband of Mrs. Sylvia Wood, answered the Master's call on Sunday. April 14, 2019. He was surrounded by his family. Kenneth was born to Beatrice and James Wood on June 30, 1949. He grew up in the "Old Newsome Park" neighborhood. He was a graduate of George Washington Carver High School "Class of 1967". Later he obtained a B.S. degree in Criminology from St. Leo College in 1997. After an acomplished career of 20 years in the United States Army, he retired as a military police officer. Later he went on to serve veterans while working at the Hampton VA Medical Center as a police officer. At an early age he accepted Christ as his Savior. As an adult he was a faithful member of United Bibleway Temple in Newport News, VA.
Kenneth, affectionately known as "Butch" had a wonderful spirit. He loved to talk and never met a stranger. He was preceded in death by his parents, sisters Doris and Betty Wood, and brother James Wood, Jr. He leaves to cherish his memory, his wife of 49 years Sylvia Wood, sons Andre' Wood and Torrey Wood (Felicia); grandsons Jayquan and Jaylun, a host of in-laws, cousins, neices, nephews, neighbors and numerous friends. A special mention is extended to his dear friends David, Glen, and Shirley. "I have fought the good fight, I have finished the race, I have kept the faith." 2 Timothy 4:7. 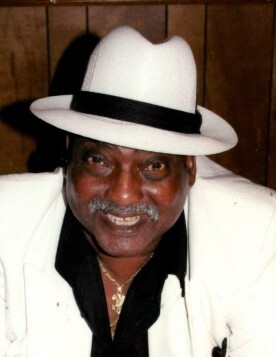 Services for Mr. Kenneth Wood will be held at 11:00 a.m. Saturday, April 20, 2019 at New Hope Baptist Church, 1415 Big Bethel Road Hampton, VA. 23666, by Dr. Christopher C. Carter, Sr.
A viewing for Mr. Wood will be held from noon until 5:00 p.m. Friday, April 19, 2019 at C.C. Carter Funeral Home, Inc. It is the desire of the Wood family that you keep them in your thoughts and prayers. The family of the late Mr. Kenneth Wood has entrusted his final care to the staff at C.C. Carter Funeral Home, Inc.